Wednesday. April 24th to Friday, April 26th, 10 a.m. – 6:00 p.m.
We’ll take small appliances and tools that work, dishes, yard tools, glassware, household decorations, pots and pans, used hand tools, kid’s toys, books DVDs, CDs, jewelry, good clean used clothing, plants that you have split and are ready to be planted and…. anything else you don’t need or want! “Many hands make light work” so check the sign-up sheets outside the upstairs kitchen and let us know when you can help. All funds raised will go to the Mission and Service Fund. 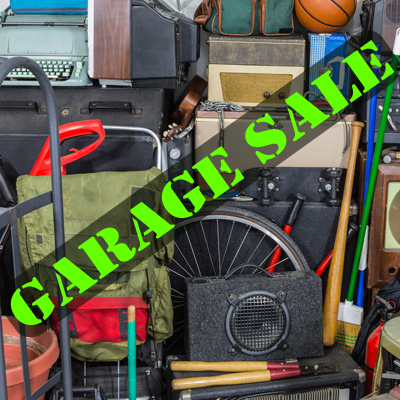 Saturday, April 27th, 8 a.m. – 1 p.m. is the Garage Sale.